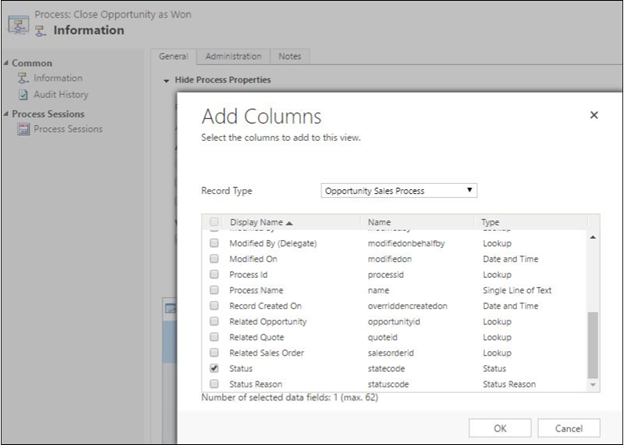 One new very powerful feature introduced in the Fall 2016 release is the ability to monitor changes to the attributes of the second level related records in addition to those of the primary record’s entity. 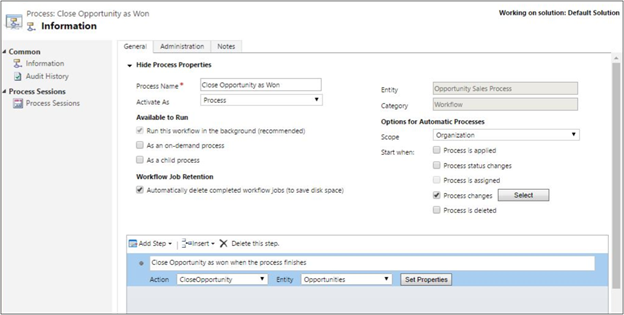 In this release, this feature is only available for business process entities, but is particularly useful because you may want to automate a process stage transition when an attribute of one of the participating data entities changes—for example, when an Opportunity is marked as Lost, automatically abandon the process. 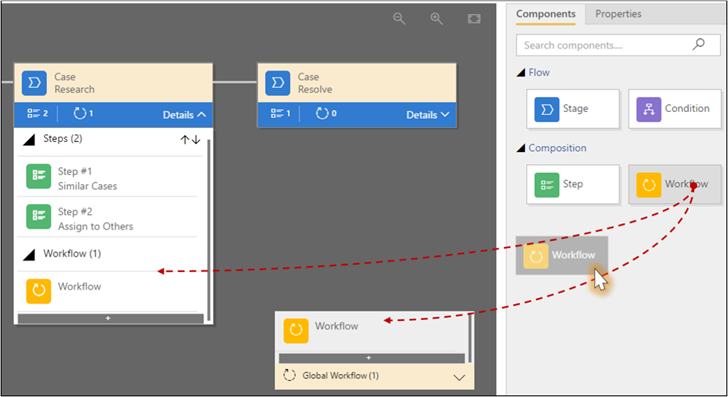 Because this can become an expensive operation depending on how many relationships a record has, this feature can only be used with background (asynchronous) workflows.